Publication of this material does not constitute endorsement by AIHA®. 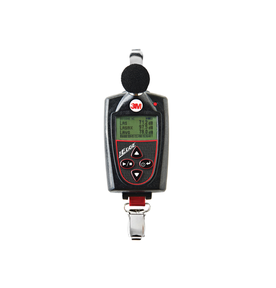 The Edge eg5 personal noise dosimeter offers advanced technology packaged in a cable-free, compact frame for a lighter, more ergonomic way to monitor noise levels. It carries intrinsic safety approvals from MSHA, SIRA (ATEX), CSA (U.S. and Canada) and Simtars (IECEx), allowing for monitoring in potentially hazardous environments where devices must be certified. Visit 3M.com/detection. Real-time monitoring of confined space and lone workers. 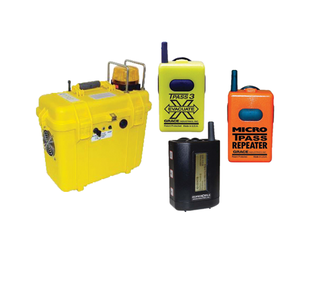 Includes Portable Worksite Alarm, T-Pass® 3 Personal Safety Alarm, Super-Cell SC 500, and Micro T-Pass Repeater. Name and ID display, motion-sensing, accountability, evacuation. Affordable, easy to learn, simple to use. AND IT’S LOUD. Visit http://bit.ly/tpasskit. 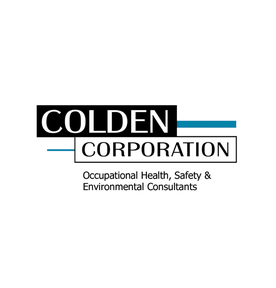 Colden’s board-certified consultants perform OSHA compliance audits, chemical risk assessments, program development and training, and routine industrial hygiene sampling. Our experienced team partners with you to manage and provide business-oriented solutions to your health, safety, and environmental concerns. Visit us at www.colden.com for detailed information on our services. KFA and KBC-ENV fiberglass absorber/barrier composites are cost-effective solutions to controlling outdoor noise. They are UV, flame-, tear- and rot- resistant; easily cleaned; unaffected by humidity, dirt, oils, and most chemicals; easy to install; and have extremely long service lives. Visit www.kineicsnoise.com. Now featuring on-board memory, free Observer software, and back lit display. The Radiation Alert InspectorUSB is a small, microprocessor-based survey meter that offers excellent sensitivity to low levels of alpha, beta, gamma, X-rays, and built-in efficiencies for common isotopes to calculate activity in Becquerels and DRPM visit www.seintl.com. With four built-in miniature impactors, SKC Disposable Parallel Particle Impactor (PPI) Samplers are designed to provide the closest match to the ISO-CEN respirable criteria and meet 2013 OSHA NPRM for silica requirements. Impaction-based PPI Samplers are an alternative to cyclones and contain pre-oiled impaction substrates that trap larger particles for sample integrity. Video at http://bit.ly/skcppivideo. Supelco provides innovative solutions for your air sampling needs. Our products are packed with our high quality adsorbents inside. We offer the complete solution—from collecting the sample to sample preparation and analysis. Refresh your air sampling media with Supelco Solutions Within. Visit www.sigma-aldrich.com/air_monitoring. The NRD personal sampler is designed to collect nanoparticles that mimic those collected in the respiratory tract (<300nm). The NRD offers a lightweight, easily worn sampler that allows for worker exposure assessment of nanoparticles of a specific composition. Uses a cost-effective chemical analysis for metals in the lab. Visit www.zefon.com.